My childhood vacations did not involve the sophisticated technology that keeps my children (relatively) quiet in the backseat today. Apart from what I recall to be my endless patience on those long and winding drives through the mountains of British Columbia, my parents relied on a combination of gas-station remedies: Gravol, Invisible Ink game pads and, if I was lucky, one of the many popular books on the history of British Columbia, through which I encountered the successes and failures of men (they were always men) who sought and lost their fortunes in the gold rushes and ghost towns stretched out along the edge of the Pacific. I’d trade any of those books for this one. Scott’s The Promise of Paradise charts what is in some ways a similar course, but one with a significant caveat. Like those of my childhood readings, the people who populate Scott’s pages are seeking fortune. Their fortune, however, is of a different order, one focused not on material wealth, but on forms of prosperity better described as social, cultural, spiritual, sometimes environmental, and definitely in the form of community. Not that material wealth did not enter the equation. In fact, it underpins a tension that ties this collection of a dozen-plus narratives of utopian British Columbia together: how each of these “living laboratories” (xxv) confronted the difficult task of balancing their utopian objectives against very real economic needs and hardships in a land as unforgiving as it was beautiful, along with internal and external social dynamics equally difficult to navigate. Indeed, that tension seems embedded in the landscape of utopian British Columbia, where the opportunity to achieve the kind of physical isolation that might permit the freedom to separate from society to build anew also meant separation from the market, employment, transportation, communications, state, and social networks on which such projects inevitably relied. Working through these narratives, readers will encounter all of the best-known utopian experiments in the province: Anglican lay missionary William Duncan’s “model Christian village” (9) of Metlakatla near Prince Rupert beginning in the 1850s; a series of Nordic projects on and around Vancouver Island; the Doukhobors in the West Kootenay beginning in the early twentieth century; postwar developments involving Quaker migrants in the 1950s; and, the counterculture adherents of the 1960s and 1970s. Brother XII is here too, in what rivals Dawson’s missionary endeavours with the Tsimshian at Metlakatla as the book’s darkest chapter, where the dystopian dynamics of deception greet the followers of his Aquarian Foundation near Nanaimo during the 1920s and ’30s. So too are more recent developments. An expanded second edition updating the original from 1997, The Promise of Paradise incorporates in its final chapter recent trends in cooperative housing as the latest, and often markedly urban, utopian frontier. Materials have been revised throughout the book, though comparison with the first edition indicates that those changes tend to be more in degree than in kind. 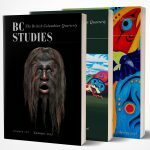 Likewise readers will find little in the way of revisions that integrate the flow of scholarly contributions to our understanding of utopian British Columbia or utopian North America more broadly. Such observations may be asking too much, however, of a book that did not set out to chart academic territory in the first place. The Promise of Paradise is, first and foremost, a series of stories, narratives of the many loosely defined utopian projects that have unfolded in this corner of the world over the past 150 years. Collectively they speak to an enduring idealism that finds expression in the province, a search for fortune that transcends but does not separate itself entirely from the material objectives of those nineteenth-century gold rush men of my childhood. Indeed there are links to be found here, between the conscious efforts of Scott’s utopians to build communities and the many other migrants that have made their way to and around the province in the hopes of something different, something better, something new. Of those, only the first, it seems, has ever been guaranteed. Madeira Park (BC): Harbour Publishing, 2017. 272 pp. $24.95 paper.